One of they key components of my diet is the complete lack of refined sugar. My experience has taught me that finding regular cereal without sugar is almost impossible. So I was glad to find this cereal for more or less the same price as regular cereal (such as multi grain cheerios). 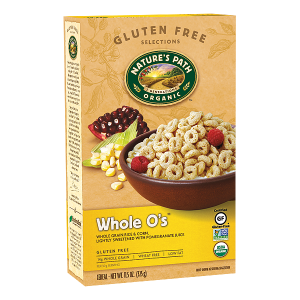 The multi-grain cheerios doesn't have refined sugar either, but other reason why I avoid it is because it has canola oil (more in that on another post). Also when I look at the ingredient list for Whole O's, it is simple and without chemical words. This Whole O's has become my "go to" cold cereal. I buy it whenever it is on sale. I love it because it's sweet but not too much (I think its because of the natural sugar). Update on January 2016: since I wrote this review (in February of 2015), this product has changed the ingredients list and now contains refined sugar. So I do not recommend it anymore. See the full re-review here.